There are several systems responsible for providing our postural control; visual, inner ear (vestibular), sensory, nervous and muscular systems all work together. In their first four years children are growing rapidly and their postural systems are continually developing and adapting. Once children reach the age of between 7-10 years most of these systems have already matured. Being able to lay down good movement patterns from very early is paramount in preventing posture related aches and pains. Feed from different sides, especially if bottle feeding. As adults we tend to be left or right dominant and therefore will always hold baby/bottle in the same arm. By changing the way you hold the baby it will encourage them to turn their head both left and right. Try to vary their position, moving them from being on play mats, buggy, car seat, tummy time, being in a sling or carrier. This will give all the muscle groups chance to work out. Change the side the car seat is in the car or which end they are in their cot. As they get bigger and more mobile you may notice they only roll one direction or lean to one side when sitting. Using toys you can encourage them to roll or lean the opposite way. Once they become toddlers you will probably notice their rounded tummies and arched lower backs. As they continue to grow and increase muscle tone this will gradually disappear, their proportions will become more adult like. Keep them active, this doesn’t have to be paid for clubs, just a daily trip to the play in the park or an open space where they can run free. In the UK it is recommended that kids aged 5-15 years get 60 minutes of activity through the day. This can be short bursts but some of this should have an impact (eg. running) for healthy bones and get them out of breath for a healthy cardiovascular system. Encourage them to sit or stand TALL. Creating length through the spine and a proud chest allows the correct postural muscles to function. The more these muscles work, the brain starts to learn that is normal and will do it automatically. If the child is sat in a rounded position a lot, the brain will learn that this is normal. Create strong feet by allowing them to run around barefoot (wherever safe). Avoid creating dominance, on a scooter change the pushing leg, encourage footballers to strike with both legs. Keep school bags as light as possible and have backpacks on both shoulders. 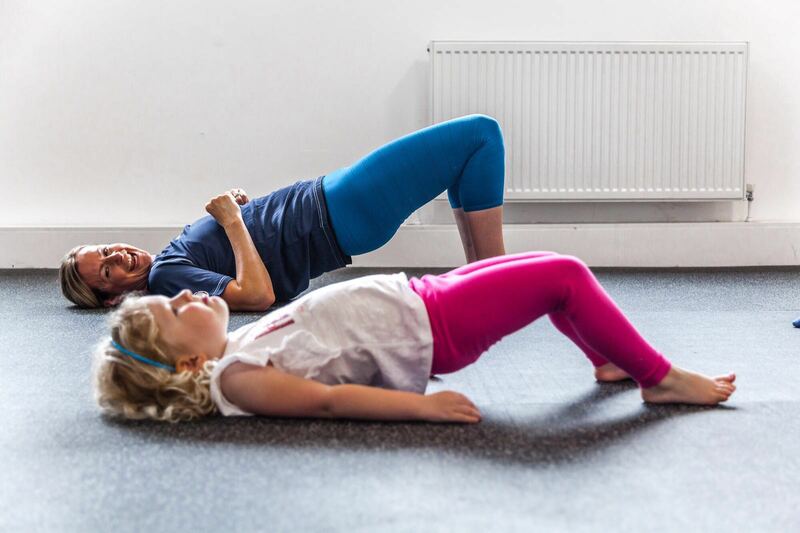 Young children are normally quite flexible, don’t encourage them to overstretch. Hypermobility can be as problematic as stiff bodies. Encourage good balance, get them to stand on one leg whilst brushing their teeth. These are just a few tips to encourage good posture and prevent posture related aches. If you are concerned about anything visit a Physiotherapist who can assess your child fully. 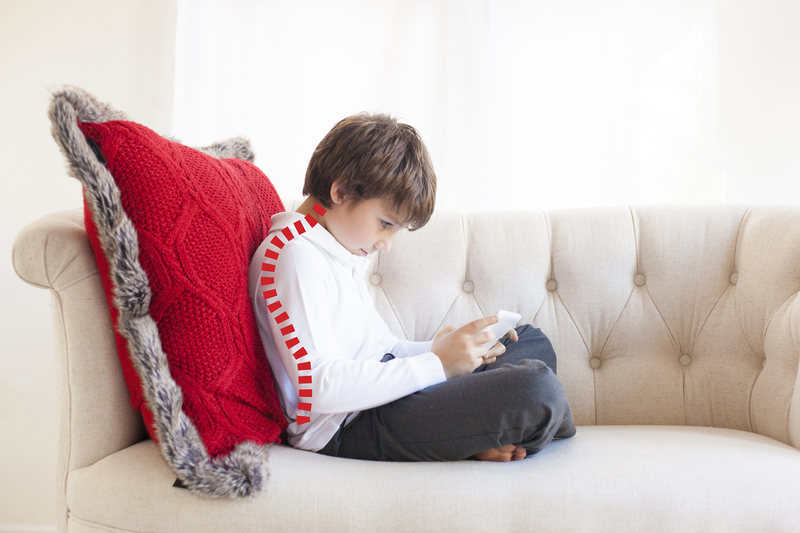 It is not normal for children to suffer from back pain. There are some ailments such as scoliosis which require medical intervention. 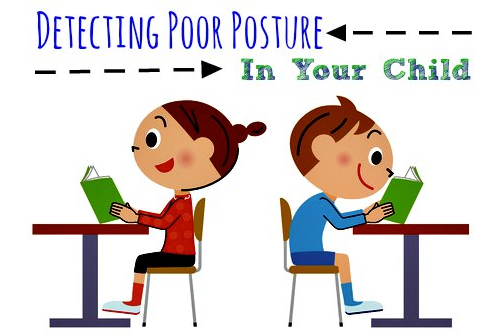 They can be difficult to detect but may prevent your child from sitting or standing tall. The earlier any problems are detected the easier they are to treat. 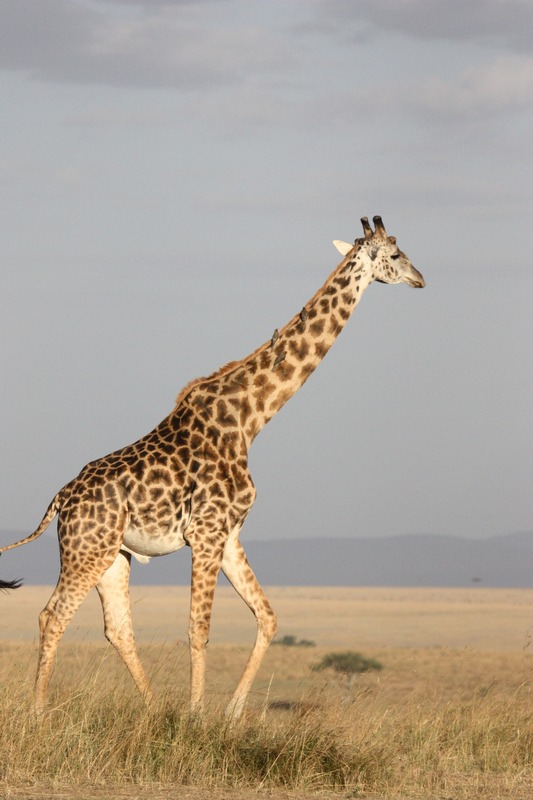 In a nutshell ensure your children enjoy varied and active hobbies, and encourage them to sit/stand tall like the tallest giraffe or sunflower. Debs is a Physiotherapist and Pilates teacher. A huge part of her job entails trying to fix posture related ailments. Her own pregnancies made her realise the impact of postural changes but also the importance of good posture in children. After the birth of her second child, she set up Pilates by Physio. You can find more tips on their Facebook page and class details on the website.